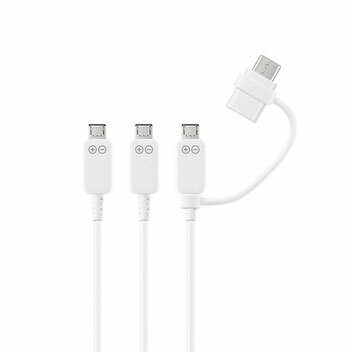 The vast majority of smartphones and tablets on the market utilise either Micro USB or USB-C connectors to charge. 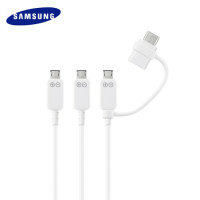 With this in mind, this official 3-in-1 cable from Samsung offers astonishing utility and convenience. 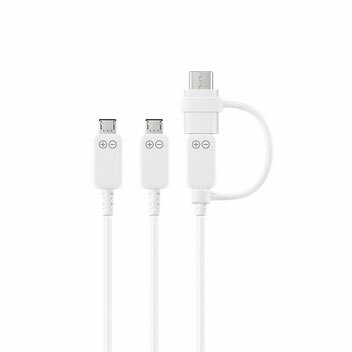 Three Micro USB connectors more than provide for most devices, while an interchangeable USB-C adapter future-proofs this cable, ensuring you're ready when you do change your phone. 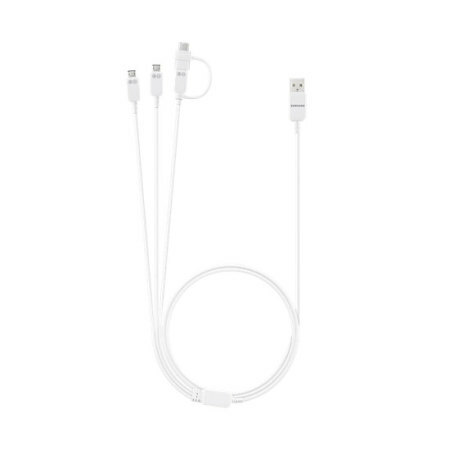 Charge your phone from flat with this cable's 3 included Micro USB heads. You could even use these connectors to charge two or even three devices simultaneously - great if you need power in a pinch. Many devices other than phones use Micro USB connectors, including dash cams, e-readers, power banks and more - you can take advantage of this cable's features to charge all of them, plus anything else with a Micro USB charging connector. More and more devices are beginning to adopt the USB-C standard for their charge port. 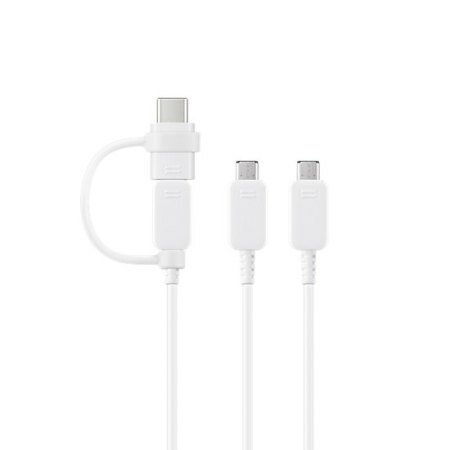 Even if your phone is Micro USB, you might change in the future, and you'll want a cable as versatile and useful as this - with an interchangeable USB-C connector. This cable offers maximum charging speeds of 2 Amps, which is more than enough for a speedy, efficient charge on the vast majority of smartphones. This value is shared across the three connectors, too, so charging two or even three devices simultaneously is viable.